Kingkraft are incredibly excited with the two new products we have added to our portfolio and they have been welcomed by our customers with great enthusiasm. Leit's Over Bath Changing Table (OBCT) and Foldable Shower Trolley are being sold exclusively by Kingkraft and have gone down a storm on our exhibition stands. Leit specifically designs items that are lightweight for ease of use and therefore can be easily transported and are perfect to take away on family holidays. The OBCT is a folding changing and showering table that fits many standard 1700 baths. When used at home, the OBCT can be folded and stored away allowing the bath to be used by other family members. The Foldable Shower Trolley is ideal for families who have limited space in their bathrooms. 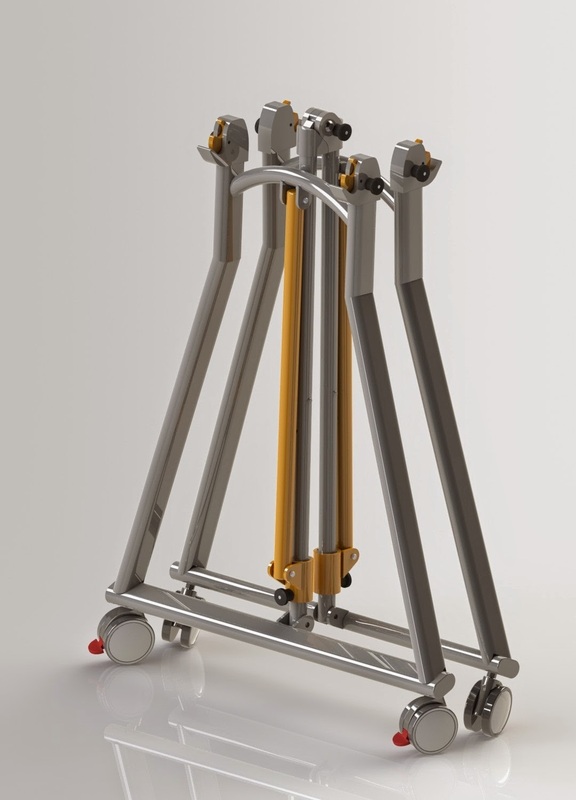 Made from aluminium, it weighs approximately 18.5kg and is compatible with the OBCT. A vinyl folding top section can be supplied also. The trolley comes on lockable castors which helps with transportation. Additional options are available for both items which include a handy travel bag, side rails and cushions etc. Leit's products are the result of intensive research and development processes and many more items are in the pipeline. For more information on the items or if you would like to arrange a demonstration please contact Sales Manager, Tom Harrison, on t.harrison@kingkraft.co.uk or 07703 537217.